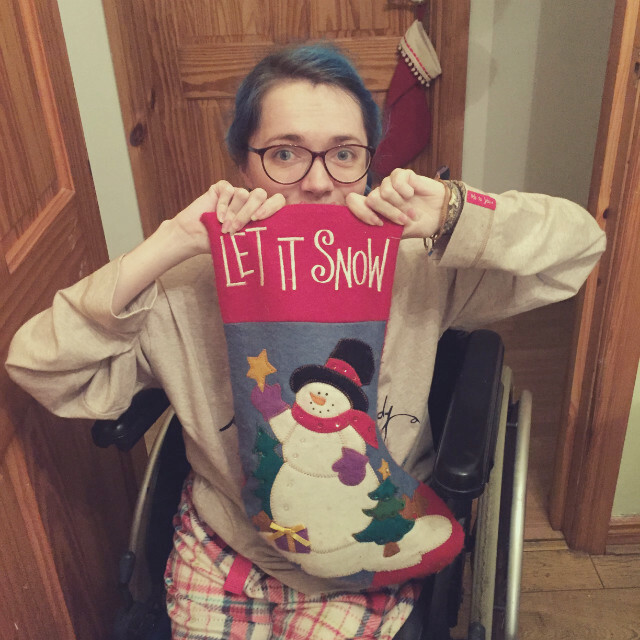 I was hoping I would have this post up before the new year but here I am, on the 4th of January, posting about Christmas. Probably the last thing anyone wants to be reading but never the less, here I am. I had a wonderful Christmas, even if a little strange. In some ways it felt like a goodbye. The end of an era. Perhaps my last living with my parents. The last Jann will be able to make it home. And the first year my grandparents haven't been well enough to visit on Christmas morning. Still, I tried not to dwell on any of that and was thankful that we had such a wonderful era to come to and end and at twenty five I'm lucky to have held on to it as long as I have. I hope everyone else had a wonderful Christmas and I wish you all a Happy New Year. 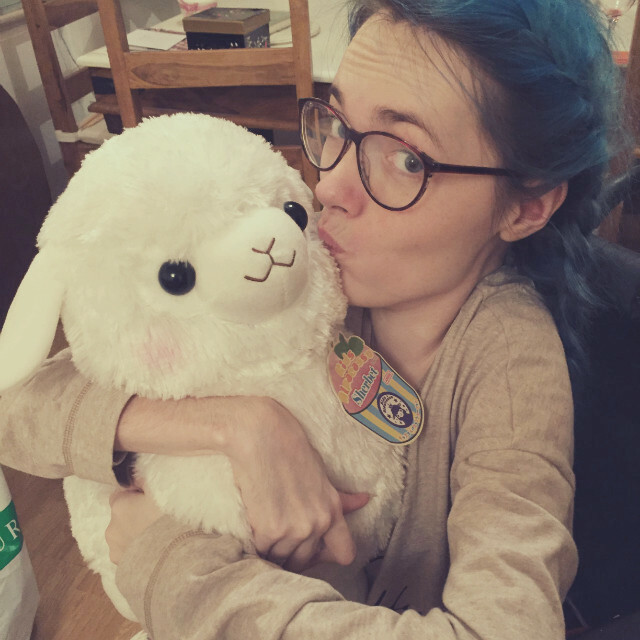 I hope 2016 will be good to you! And that you don't mind that I'll be writing about 2015 for a little bit longer. 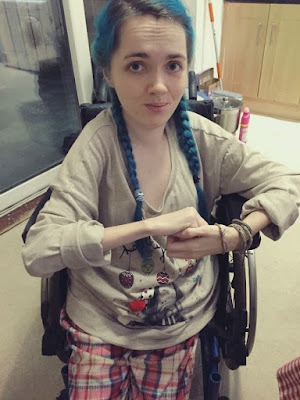 This post covers from Thursday 24th to Saturday 26th of December. Enjoy! I woke up to a really lovely breakfast on Christmas Eve, courtesy of Jann. Earlier in the week we had been talking via Facetime and she'd been surprised to find I like avocado with boiled egg and toast. 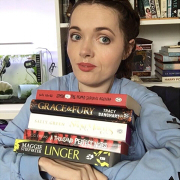 Last year I tried to branch out a little and try some things I wouldn't have before. 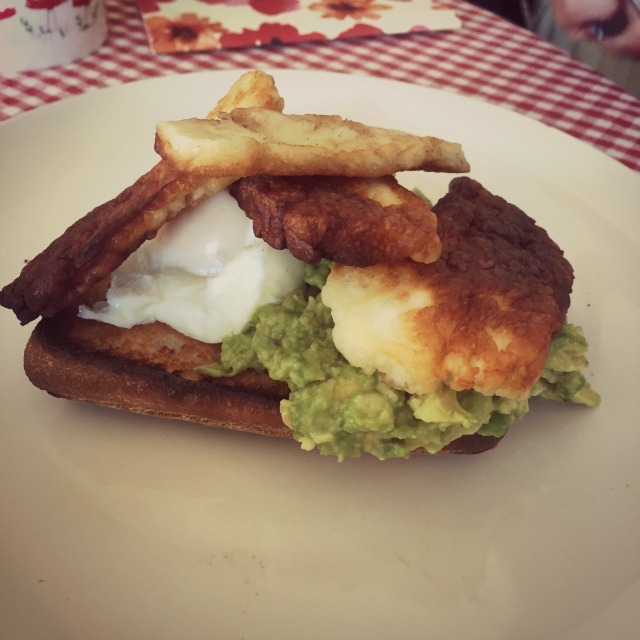 There's a place she goes to in London that has poached egg, avocado and halloumi on sourdough toast on their breakfast menu. 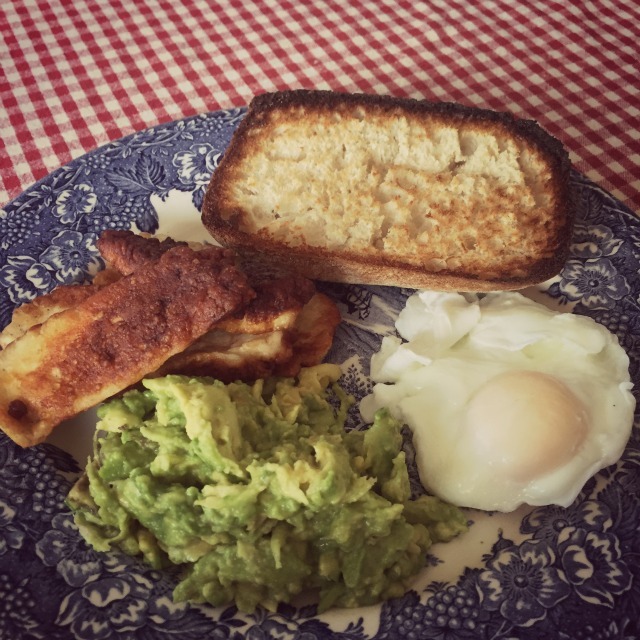 I'd never had a poached egg, halloumi or sourdough bread/toast before so I was a little afraid I wouldn't like it. It is served like this in the restaurant. However, I'm a little odd about my foods touching too much before I'm about to put them in my mouth so Jann made mine deconstructed instead. She also wasn't able to get sourdough bread so we had to settle for ciabatta bread but it was really nice! I also really liked the poached egg. The yoke was hard just as I like it. All in all it's definitely something I would have again. Jann and I ate breakfast together but, sadly, Eva was at work. It was weird having Christmas Eve without her. 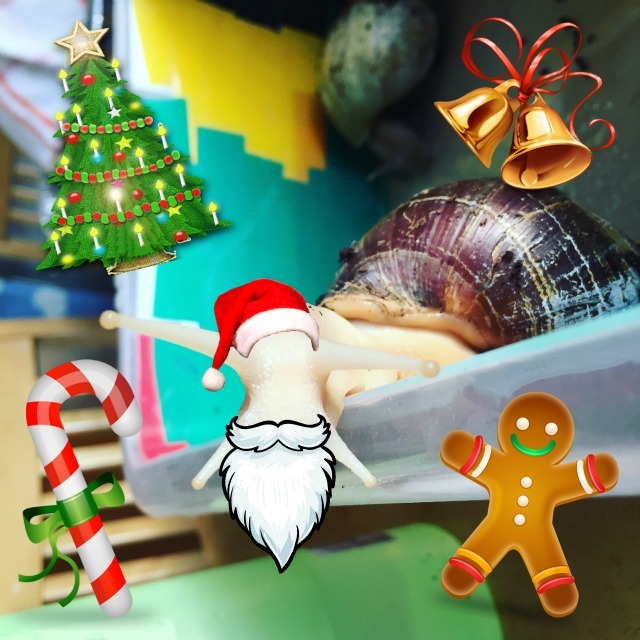 After breakfast I had to clean out my snails and check for eggs. Not exactly the most festive thing to be doing on Christmas Eve but I rectified that a little by taking the opportunity to create this photo. A very merry Agron! I was highly amused. Once I had my babies all clean for Christmas and fed, I set about writing some notes for My Week In Words. Jann had been cleaning the bathrooms, because she thinks she's Cinderella or something, and then lay on my bed while I was at my desk. We chatted some and she showed me some songs. However, she soon left to go to my parent's room instead and had a nap. 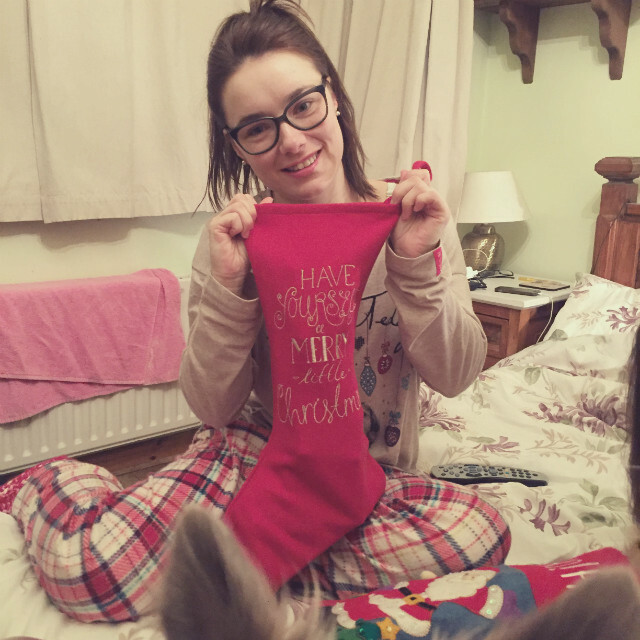 I took the opportunity to write a blog post as I'd felt bad I hadn't written any Christmas themed posts. By the time I got my post finished Eva came home from work and my dad put on party food for us to eat. Usually we had it much later but we were all hungry, especially Eva after work. So around 6:30pm we ate and then after we went into the living room to open a present each from our parents. 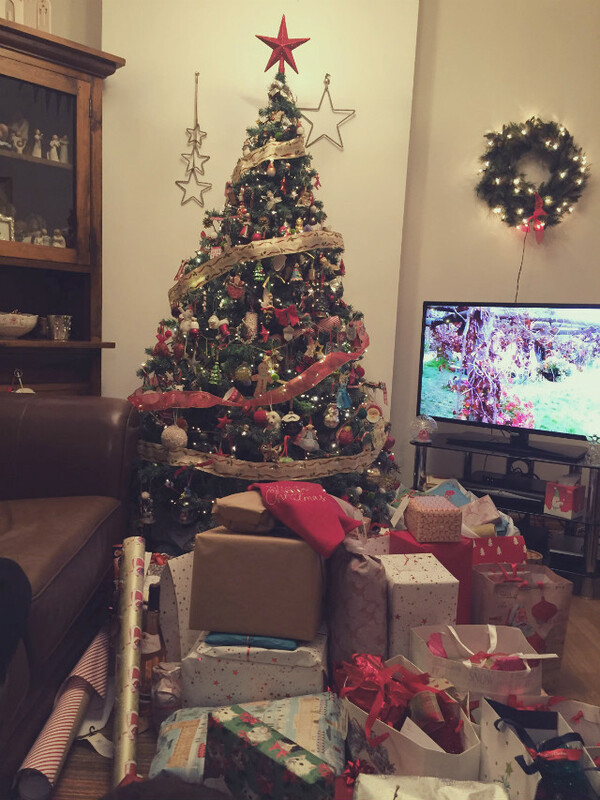 The living room was chaos with presents. I didn't envy my mum having to sort through everything and making it presentable for later on. 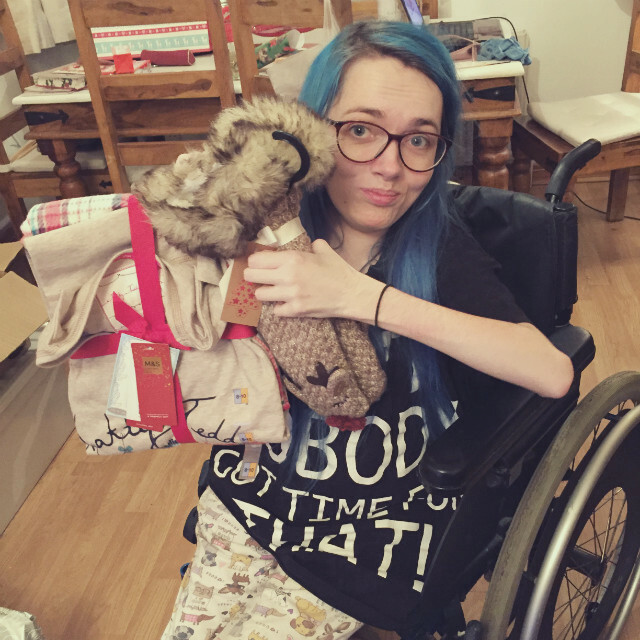 As always the present we opened were pyjamas and some fluffy socks. 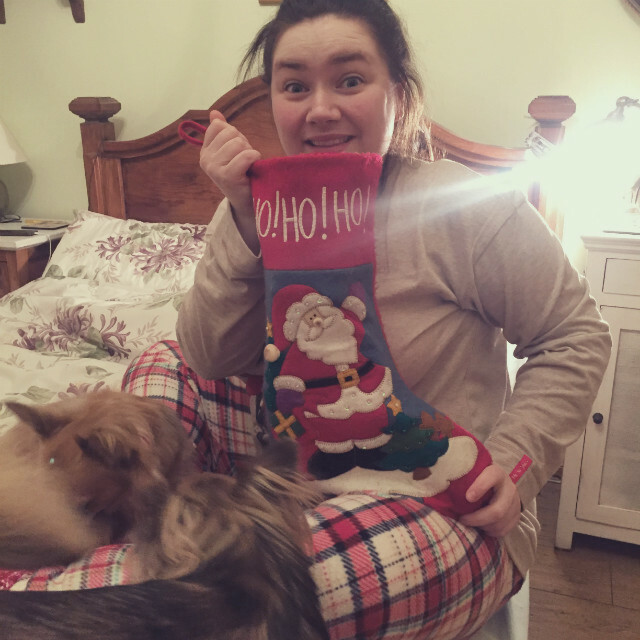 This year we all got the same set of pyjamas but I got different socks as my mum couldn't get the right size for me the same as Jann and Eva's. All T, no shade... I preferred mine anyway. You can't really tell but they are reindeer. Once we'd opened our presents we went for our showers before we changed into them. The top of my pyjamas was a little big for me and I had a danger of flashing everyone while I wore it but luckily I didn't. Jann also did my hair in braids to keep it from getting too unruly. It also meant I didn't have to blow dry it too much before leaving to go present delivering. We didn't actually get out as early as we had planned as my parents and Jann ended up going to my aunt's house first. My mum likes to deliver her present to her sister herself and Jann wanted to see if my cousin was there as he was home from Australia for the holidays. Sadly he wasn't there. Eva and I stayed at home rather than ending up waiting in the car. We just chilled and watched some stuff online while we waited. They took longer than expected and it was later than we'd hoped when we finally set off to deliver presents to our cousin and then my grandparents and aunt Karen. Though not as late as other years. It was good to see my grandparents as I hadn't seen them in weeks as my granda has had pneumonia and it wasn't safe for me to visit. Granny had also been in respite for a week and had only gotten home the day before. She didn't recognise Jann at first and was a little confused but all in all she was pretty good and we had a nice catch up and present exchange. By the time we got home I was pretty tired and we'd had some tea and nibbles at my grandparent's house so I skipped supper. Usually Eva and I watch a film in bed on my laptop but because there was three of us and my bed is only a single, we couldn't. Eva was in beside me and Jann had a mattress on my floor as we always sleep in the same room on Christmas Eve. We chatted for a while but eventually fell asleep. I was worried Jann wouldn't be able to as she's not used to the noise of my ventilator and my hamster but even she got off to sleep too. Days in My Week In Words don't usually start as early as this but this Christmas Day we set an alarm for 2:30am. Normally we don't actually get to sleep and we just periodically check our stockings but I guess we're getting old. Santa doesn't usually come until between 3am and 4am but I guess he was early this year too as that was the first and last time we had to check our stockings. Santa had been! We had a little bit of an effort waking my mum up but once we did we set about opening our stockings. 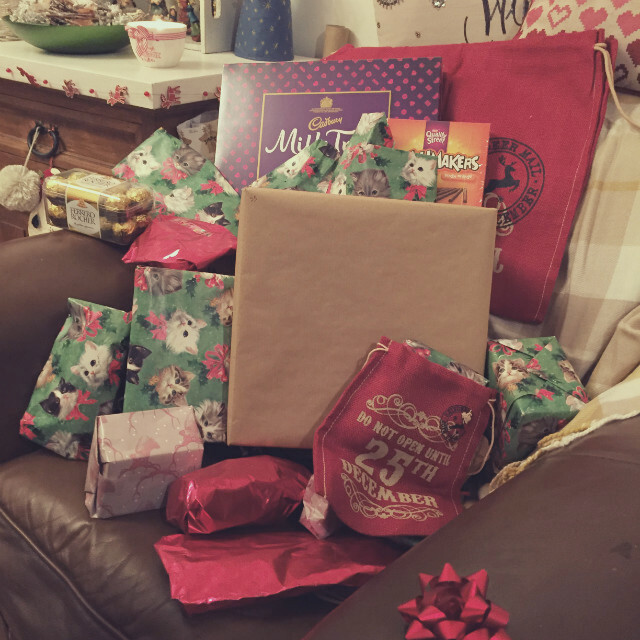 Then we made our way into the living room to open the rest of our presents. 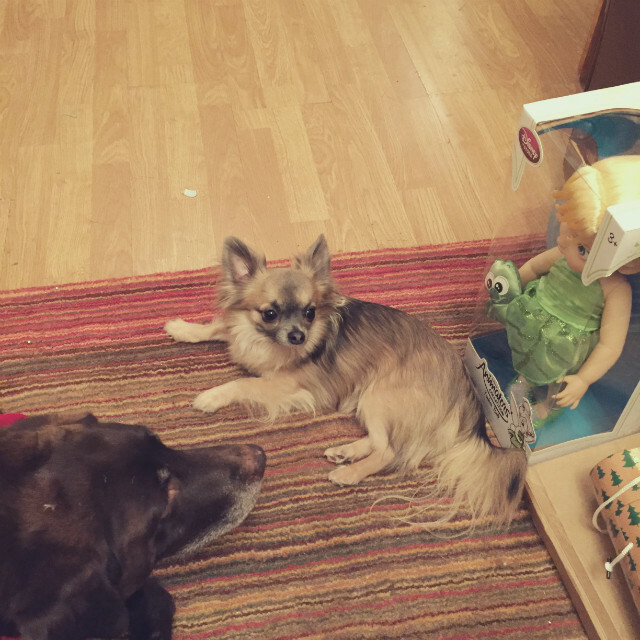 I had some company while opening my presents in. Findlay came to sit beside me. 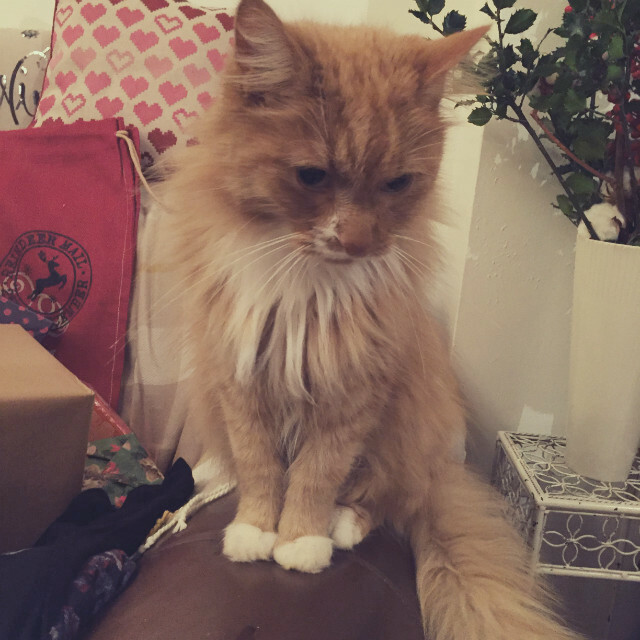 He always seems to turn up during present opening on Christmas morning. I guess it's all that kitty curiosity. 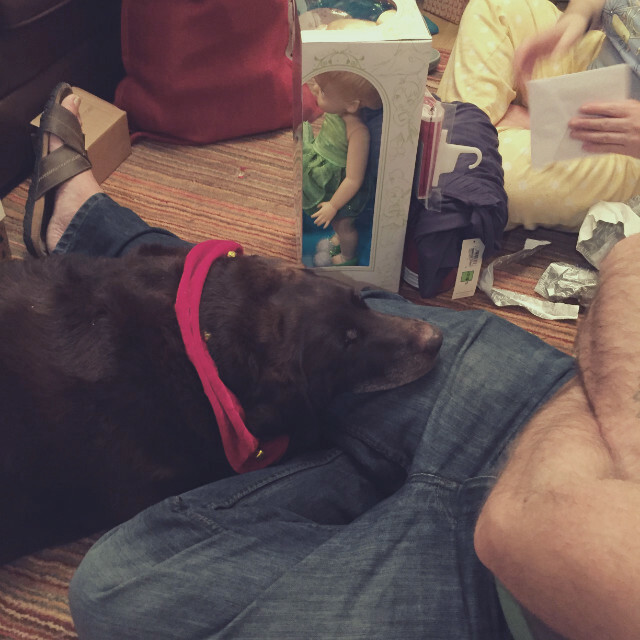 The dog's weren't as interested in all the present opening. I think they just wanted to go back to bed. 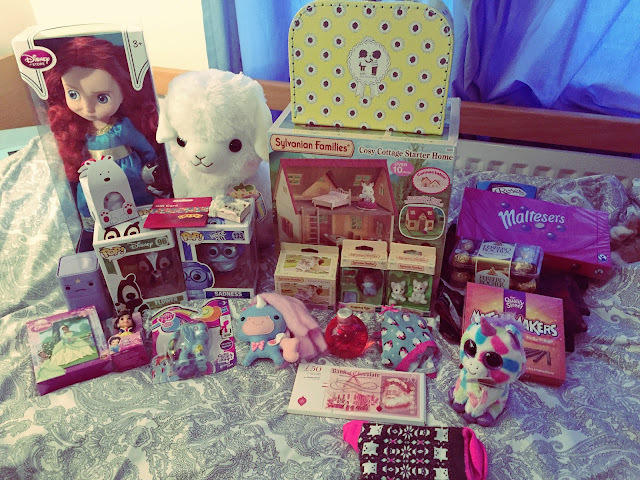 I got so many wonderful presents. However, this year I didn't worry so much about getting action photos of me opening things. I decided to put my blogger brain aside and just enjoy myself. Photos could wait. But I couldn't resist taking a photo of this cutie when I opened it. 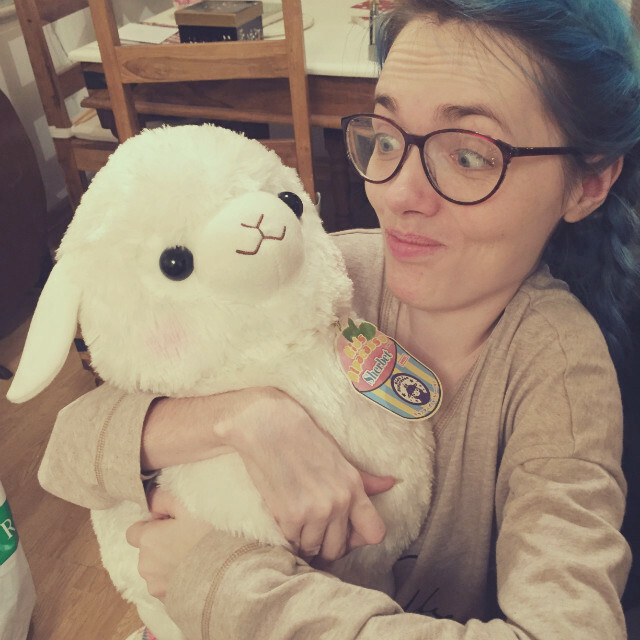 Eva got me my first big Alpacasso. I also have a tiny fakey and a real tiny one. I am in love with this big one. It's white with cute little pink cheeks. I can't wait to collect more. She also got me a cute Twin Stars blind box re-ment. 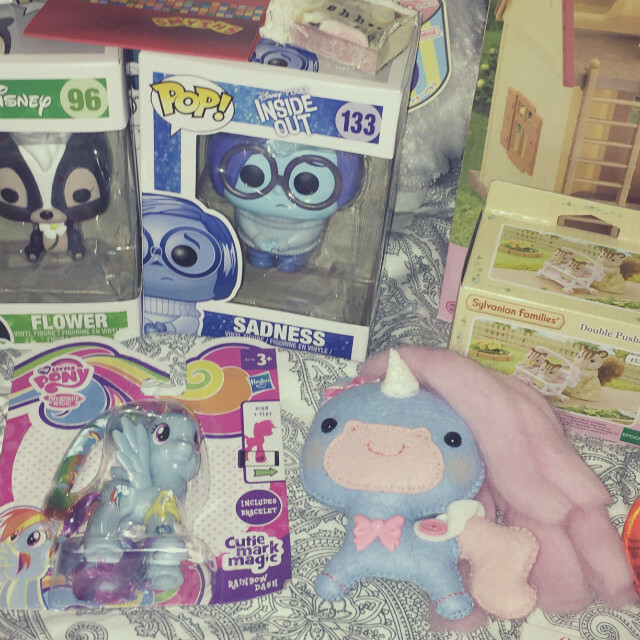 I'm planning to do a separate Toys 'n' Stuff post dedicated to the different toys I got. Here's a couple of photos of my presents all together. I was so spoiled and I am beyond grateful for everything I got. 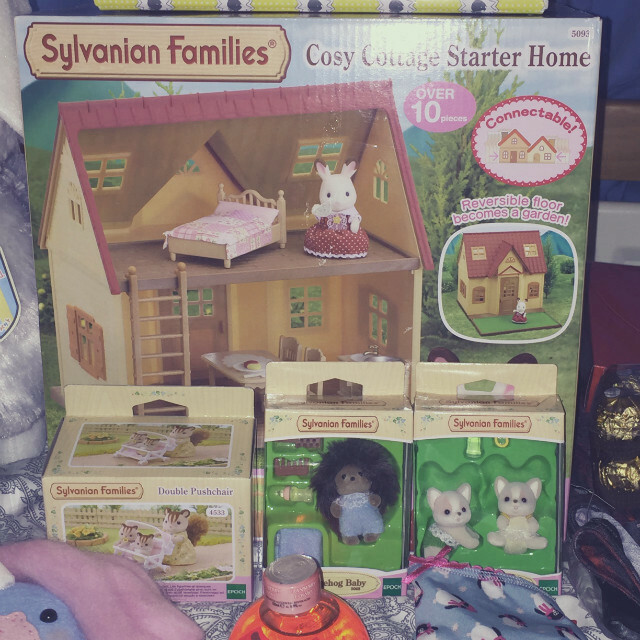 My Sylvanian Families collection got off to a great start. The little suitcase you can see on top of the Sylvanian Families cottage's box was from my sister, Jann. I had asked her for doll clothes and she'd got me this little suitcase with two outfits inside. It's perfect for keeping the clothes I've gathered so far in. One of the outfits was for the Merida doll and I can't wait to show you her in it in a later post. She looks adorable! Cheeky adorable. 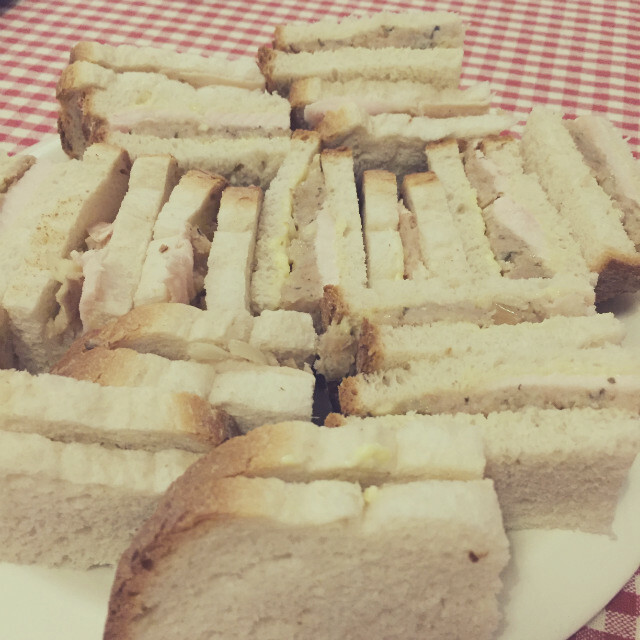 After opening our presents we had some lovely turkey and stuffing sandwiches. Usually we only have stuffing sandwiches after opening presents but Dad cooked the turkey earlier than usual so it was ready. They were so good. A little later I headed back to bed. I ended up sleeping a lot later than I usually would as we didn't have any family visiting. My grandparents weren't well enough to come round. So I stayed in bed and red for a while after I woke up. It was a little sad not having any family visiting but I tried not to dwell on it too much. When I finally got up I had more sandwiches for breakfast and then took some photos of my presents for this very blog post. I took some others as well but they're not great due to the rubbish lighting. Once I'd finished I found Eva watching Brave in my parent's room. Despite getting a Merida doll for Christmas, I hadn't actually seen the film before. I got her because I liked how she looked and actually planned to make her a different character. Because we were having dinner shortly and I'd missed the start Eva recorded Brave for us to watch properly later. 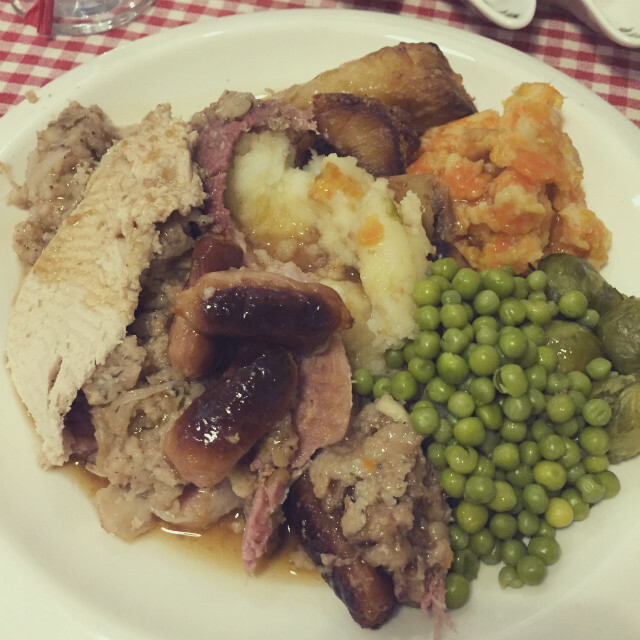 I had slept so late that it wasn't long until Christmas dinner was ready. It took a little longer for my mum to dress the table but what a lovely job she did. The photo really doesn't do it justice. Once again, I decided to just enjoy my dinner rather than attempt to get the perfect photo of it. It never does it justice anyway. We had a lovely dinner together and it was nice having Jann home for the first time in three years. I'm sure she's missed Dad's dinner. I know I would. Dinner went down great and I was stuffed after. Literally stuffed. There was a bit of a mix up with my dad and my aunt Karen. Aunt Karen had said she was going to come round to see us but Dad had said we were going round to see her and my grandparents. I don't think my dad wanted us to go so he left with out us and my aunt Karen didn't know we weren't coming. 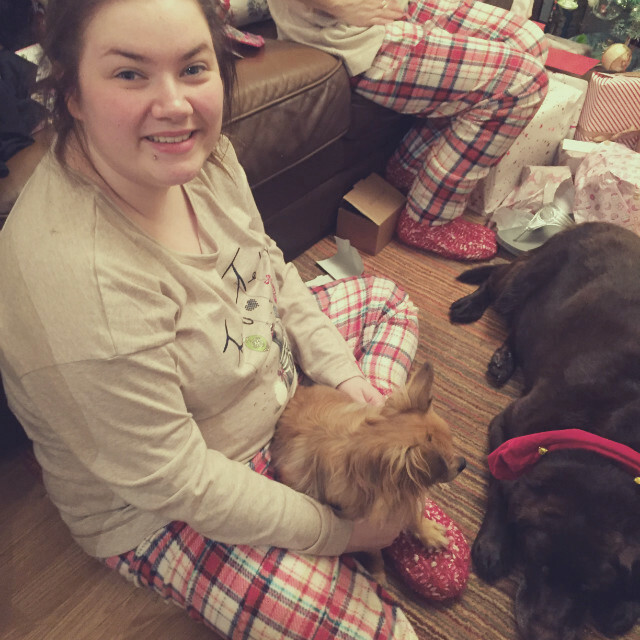 In the end she did come and she took Jann to see my grandparents because Jann was leaving on Boxing Day and wouldn't see them again. Eva and I were supposed to go but we decided to stay behind because we were tired and also to give Jann some time alone with our grandparents and not to annoy Dad by having all of us there. 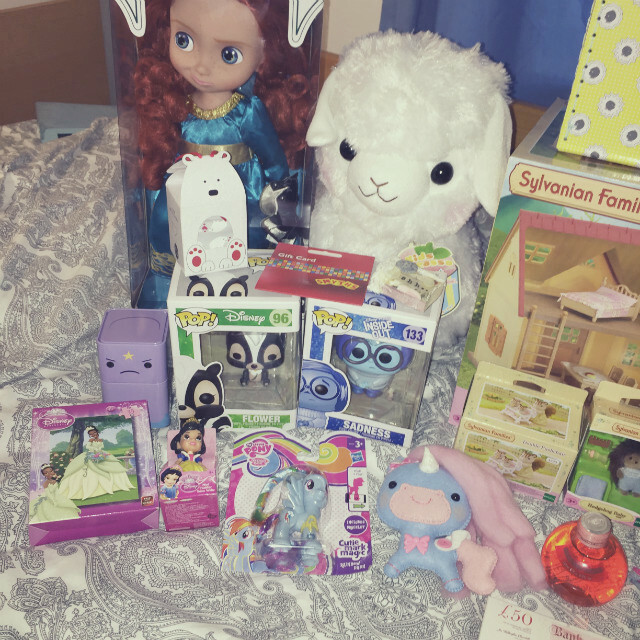 Eva and I decided to settle down to watch Brave while we opened some of our toys. 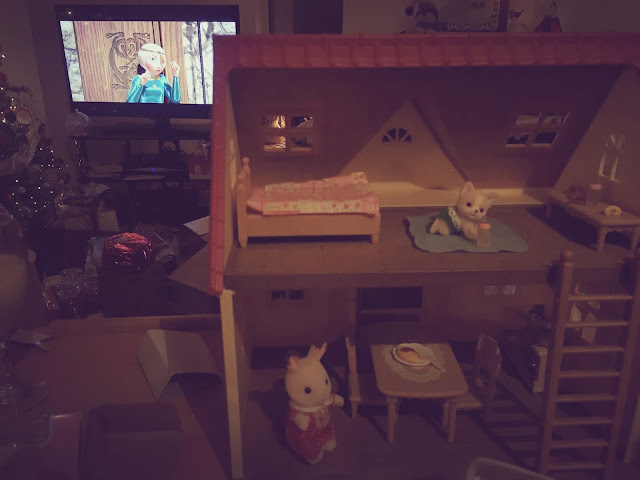 I decided to set up my Sylvanian Families cottage. When my aunt brought Jann home again she was a little upset so we put Brave on hold and she stayed for a while. We chatted in the kitchen and watched some old Top Of The Pops. Eva even danced for her to make her laugh, which totally worked. After she left Eva and I watched an episode of Big Fat Quiz Of The Year while Jann watched Downton Abbey with Dad. I felt a little bad not watching it with her on her last night but I just find it incredibly boring. I also tend to talk through things, especially things I enjoy making fun of, and that can be annoying to some people. I didn't want to ruin the finale for her. After the quiz show I headed to bed. Jann was leaving on Boxing Day, which was a bummer. It felt like she'd only got home. As Eva had been working on Christmas Eve when Jann had made me breakfast she made the same thing for Eva on Boxing Day. I enjoyed it just as much the second time around. After breakfast we just chilled and watched a little bit of Criminal Minds. Well, Jann actually napped before she left. Still, we were all in the same room. While Jann was getting ready to leave I took a quick shower and then my aunt Karen came to take her to the airport. Eva went with her but I stayed behind. I could barely believe her visit had been and gone. I chilled until dinner, which was the same as Christmas Day. 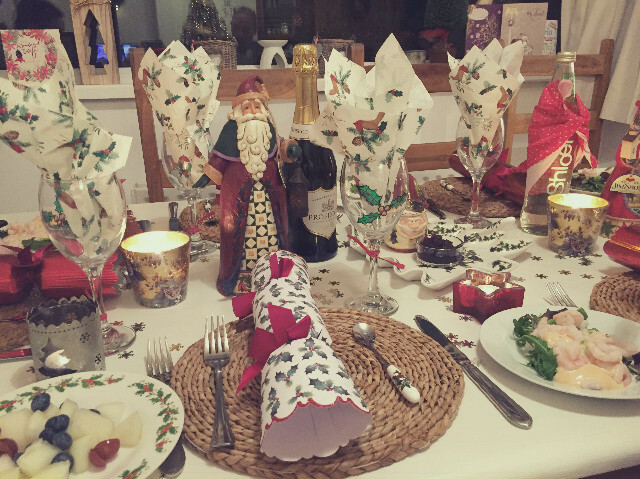 However, my mum didn't dress the table as she usually does on Boxing Day and we ate in the kitchen instead. I enjoyed my dinner just as much as I had the night before. 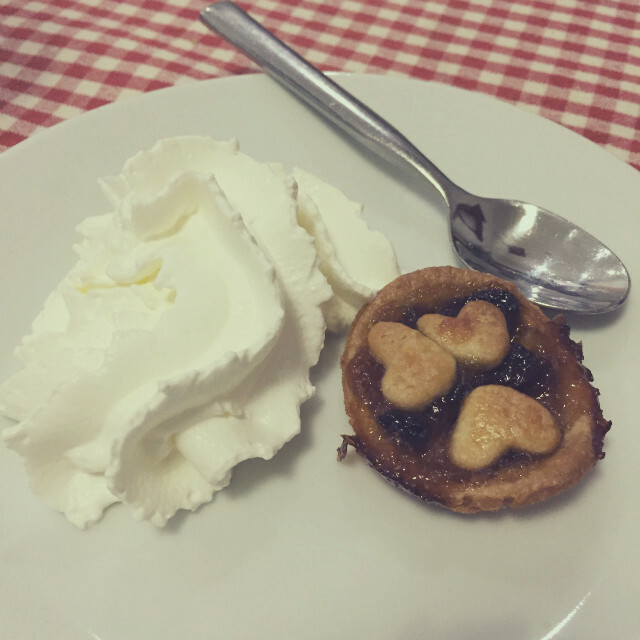 How cute is that little mince pie that my mum made? It was super tasty too! After dinner we settled down to finish watching Brave and then followed it up with Night At The Museum 3. I'm actually a little bit in love with Brave now. I don't know why it took me so long to see it. It kind of made me want to keep my Merida doll for my boxed animator dolls collection but I couldn't resist opening and putting her in the super cute outfit Jann got me. It's super girly and reminds me of when her mum tried to dress her. I was going to make her a tomboy but then I thought screw gender stereotypes. After the films we watched the latest Big Fat Quiz Of The Year, which was also great, and then headed to bed.